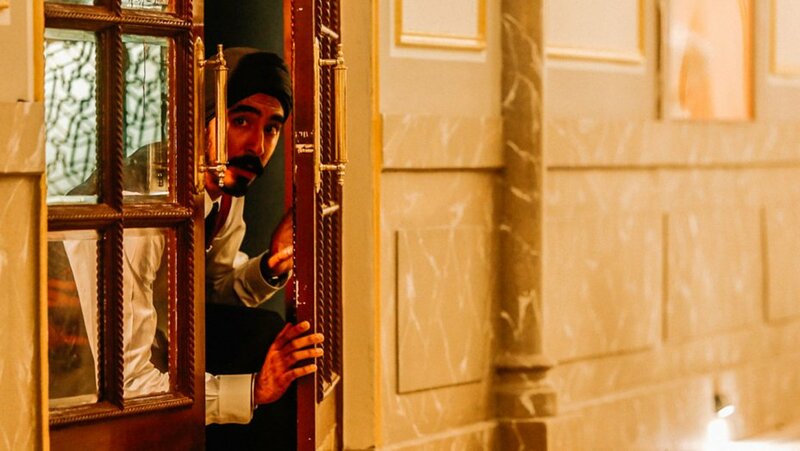 Hotel Mumbai Review | A competent depiction of a harrowing nightmare. "...it’s useful to be reminded that tragedies occur in other parts of the world as well." " If there’s an element of this solidly crafted real-life disaster movie that gives pause, it’s that it never precisely goes beyond mere depiction." Americans tend to corner the market on cinematic dramatisations of terrorist attacks, forest fires and oil rig explosions from recent history, but it’s useful to be reminded that tragedies occur in other parts of the world as well. 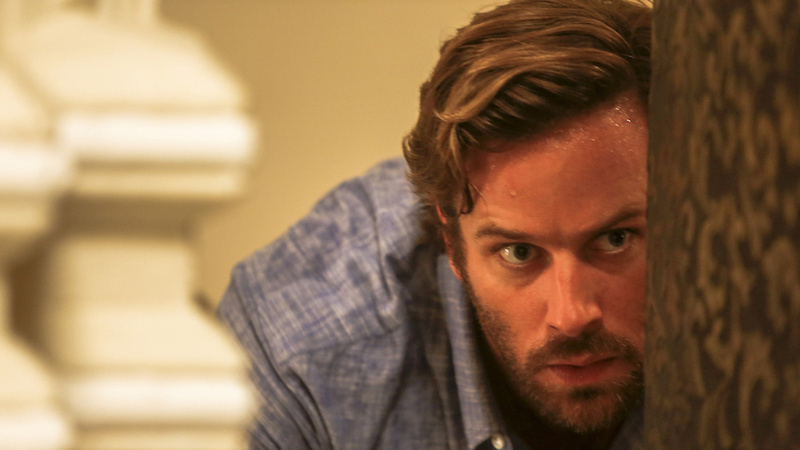 The new film Hotel Mumbai features only a single American character, played by Armie Hammer, which makes it almost a radical venture in an industry where the purse strings are controlled by risk averse financiers. A co-production of Australia, India and the U.S. with Adelaide-born Anthony Maras at the helm, Hotel Mumbai may not have quite the flash of one of those productions featuring exclusively American victims. But perhaps that’s a better way to honour the 174 people who died on the 26th of November, 2008. In an episode that came to be called 26/11, a nod to 9/11 in the U.S., ten Islamic extremists tore the Indian city of Mumbai asunder with coordinated attacks involving automatic weapons and explosive devices. Most of the deaths occurred in the glamourous Taj Mahal Palace Hotel, but a train station and restaurant were among the other targets hit. With no local counter-terrorist strike force that was trained for such a scenario, law enforcement was forced to wait hours upon hours for a team to arrive from Delhi, during which the indiscriminate killing continued, abated only by the victims’ ability to hide and blockade themselves within the hotel. The film depicts a variety of characters based on real life victims and survivors. One of these is Dev Patel as Arjun, a hotel employee who wears a turban as part of his Sikh religious faith, which causes some confusion among the more ignorant white guests. Jason Isaacs plays a smarmy Russian hotel guest, while Hammer and Nazanin Boniadi are a rich married couple with a newborn looked after by their nanny (Adelaide actress Tilda Cobram-Hervey). Indian treasure Anupam Kher plays the hotel’s courageous head chef, and the film also spends a fair bit of time with local police and the terrorists themselves. If there’s an element of this solidly crafted real-life disaster movie that gives pause, it’s that it never precisely goes beyond mere depiction. In a film that represents the very best of this type of movie, Paul Greengrass’ United 93, depiction is all that is needed. A movie that’s not made in the documentary style, with fairly traditional dramatic arcs, might attempt to grapple more directly with why a tragedy like this occurred. Director Anthony Maras begins on a provocative shot of the gunmen arriving by sea on a small motor-powered craft, as an unseen mentor whispers extremist rhetoric in their earpieces, the kind that reassures them they are going to their great reward in the likely event of their deaths. This provides a bit of a misleading preview of what is ultimately only a glancing look at what compels people to commit genocide in the name of their god. It’s unclear how Maras et al might have accomplished this better or differently without risking indictment of an entire religious faith, but the sense of ultimate disengagement feels a little unsatisfying. Much of the rest of what occurs proceeds as you might expect, but not in a bad way. The establishment of characters and the following of their journeys is key to the emotional resonance of a film like this, and this one accomplishes those things more than satisfactorily. However, the true takeaway of this film is to get a better understanding of just what it was like on the ground in Mumbai on that horrible night, something that news coverage could have only partially shown us before now. The thing that was truly striking about the Mumbai attacks was their unimaginable duration. We hear about U.S. gun attacks all the time, but they tend to be distinguished by their relative brevity, as police become quickly involved and the death toll is mercifully minimised. Here we see heroic attempts of the police to become involved, but in 2008 they just were not equipped to deal with a situation like this, nor this many attackers. It’s the type of sustained chaos usually only seen inside a genuine war zone, and it’s shocking to behold. Over the course of the narrative, corpses sit so long in the hotel lobby that they become as familiar characteristics of that space as its furniture. It was a nightmare that just kept going and going before it finally came under control. Although he condemns their monstrosity in no uncertain terms, Maras makes the only truly defensible decision by spending some time with the terrorists themselves. The temptation is to deprive such men of a face, but calling them faceless monsters does nothing for our ongoing cultural discussion to promote better understanding between people of different races and religions. As such, we do get to see some moments of doubt creep in, some moments when it is impossible for them to avoid confronting the sheer horror of what they’re doing. The truest monster is the man whispering in their ear, who has moulded weaker minds to make them his puppets. There’s been a sad timeliness to the release of Hotel Mumbai, as it hit Australian cinemas just a day before a new terrorist event in the very backyard of one of the countries involved in its production. On Friday 15 March, shootings by white nationalists occurred at two mosques in Christchurch, New Zealand, leaving at least 49 people dead. The reminder that people of Muslim faith are just as likely to be the victims of terrorism as its practitioners, if not more so, is a message the makers of Hotel Mumbai would certainly co-sign.